Some Nigerians in Abuja on Friday flayed the Senate recommendation for a N5 fuel levy on every litre of petrol or diesel imported into the country. The respondents expressed their views in separate interviews with the News Agency of Nigeria (NAN) in Abuja. Speaking to NAN, Adebayo Ojo, a resident noted that the present recession called for a reduction in petrol price and not an increment. Government cannot possibly be thinking about increasing the petrol price when they know the harsh economic situation in the country. The government should rather think of reducing the price else they will be calling Nigerians fools for being patient all this the while. We are not fools and government should not take us for granted, how can the senate be so mean to even contemplate a thing like that. I personally will recruit people to take to the street if a thing like that should happen. Zainab Abu, a shop owner at Wuse market, said: “No, it can’t be true. That will be callous’’. Abu said that she could no longer afford her children’s school fees and had withdrawn them to a local school because of the recession. “This government has failed Nigerians and if we are not expecting anything more they should stop frustrating us,’’ she said. A salon owner in Maitama, also told NAN on condition of anonymity that: “Aunty, look around, I have laid off my staff. This one with me is cheap labour and she comes in thrice a week. At a bus stop in Maitama, a lady who offered her name as Sala, almost slumped asked to react to the imminent hike. 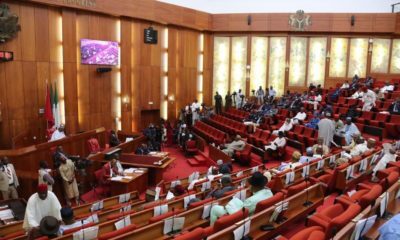 The Senate Committee on Works, had on June 1, recommended a N5 fuel levy on every litre of petroleum or diesel imported into Nigeria to help finance the proposed National Roads Fund. The committee, chaired by Senator Kabiru Gaya (APC-Kano), also recommended the deduction of 0.5 per cent on fares paid by passengers travelling on inter-state roads to commercial mass transit operators and return of toll gates on federal roads, among others. The inference of the proposed fuel levy charge is that end-users, including motorists, will pay N5 tax on every litre of fuel bought at any fuel station. 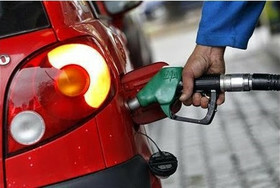 The recommendation comes a year after the increase in pump price of premium motor spirit (petrol) from N87 to N145 per litre. Do these people think we are stupid??????? Extra N5 on every litre purchased? Are our politicians that wicked or just blind? Their salaries are in millions, yet they keep taking from the average Nigerian man who can barely even afford one proper meal a day. Really, this had better be a huge joke..and I’m not even laughing. @ Christian sister, why Nigerians have not asked for the trimming mad senate and House of Representatives leaders to have minimum wage like their counterparts is what baffles me!!! Every of their needs is covered by tax payers money while Nigerians are left in a state of destitution!!! Sigh. The hike is on imported fuel. Then the next question should be how much fuel is imported. That deduction on fares on interstate roads is pretty good. Well let them do it, we Nigerians don’t know how to fight, if not the call for Buhari’s resignation would have been echoing through and through. Let them increase it, that’s great. Wetin concern me, I no dey the country. Senators should reduce their salaries and other benefits to get what they need to help masses, and not to add to fuel price. Remember masses are suffering. Thanks. Where on earth is our military. ..
Why won’t they forfeit their outrageous allowances to better the lives of the people they claimed to be representing. .
Nigeria is extremely rich but we suffer “corrupt leaders made poverty”..
Shame on all the religious leaders who romances these criminal lunatics instead of telling them the truth. .. The Giant of Africa shall rise again! Bunch of shameless arrogant, wicked, corrupt fools. You guys should cover your faces. What the hell do you want from Nigerians. Must you squize the last blood from their throats ?. You law makers enjoy the best of everything in that country while an average Nigerian has virtualy nothing, all you are proposing again is to frustrate them the more. Haba!!. Have you no feelings at all. Can you not see that people are suffering, You these politicians, aiye yin o ni dara. May God visit you all in his wrath and save Nigeria from your wicked grips. Nigerians wake up from your slumber. These politcians have pushed you to the walls. Nigerians should come out & start protesting these IDIOTS that make up NASS. We r not Fools & there’s a limit to human endurance. Let them sell all the luxury vehicles given to these pple, take away their allowances & salaries for 6mths plus all the recovered money from treasury looters to fund all the projects @ hand.